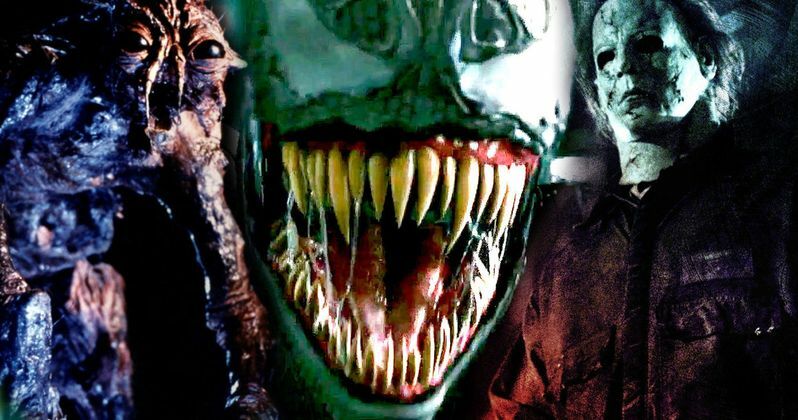 It was revealed today that Sony's Venom is drawing inspiration from two horror movie icons. There's a lot of information and some confusion surrounding the upcoming Venom movie, which is currently in the casting stage of production. One thing is for certain, the movie will not be a part of the MCU, but it will take place within "the same reality." What that means is, well we don't know at this point in time. There have also been rumors of a 2nd symbiote, possibly Eddie Brock's ex-wife, Ann Weying joining the cast, but nothing has been officially confirmed. Sony has started to set up expectations for Venom by stating that they're aiming for an R-rating while making a horror/sci-fi movie, which sounds fantastic for long-time fans of the Venom character. According to Variety, Columbia Pictures president Sanford Panitch has doubled down on the horror possibilities by saying that Venom will be inspired by the works of horror icons John Carpenter and David Cronenberg, which if that's the case, the movie will certainly have to be R-rated. It's important to take news like this with a grain of salt when the projects are this early in the developmental stage though. A lot can change between now and when the finished product is delivered to the public. Venom director Ruben Fleischer also talked about the upcoming movie and weighed in on why he took on the project and the darkness of Venom. Fleischer says this. "I've always been drawn to the more antihero superheroes... There's a dark element to Venom and a wit that has always appealed to me." The director went on to talk about what fans can expect to see in the upcoming movie by saying that the movie will be an origin story with a Jekyll and Hyde relationship between Eddie Brock and the alien symbiote. He explains. "They become almost a third being, which is what Venom is. There's a famous quote: "You're Eddie Brock. I'm the symbiote. Together we are Venom""
The mention of David Cronenberg's influence would serve to make an interesting choice that actually makes a lot of sense when one takes into account the way Eddie Brock and the symbiote interact with each other physically. Cronenberg's movies are often visceral and include elements of body horror, specifically people's fears of bodily transformation. The John Carpenter element is just as interesting since his movies are more in the traditional horror and science fiction vein. If this news tells you anything it's that Sony seems to be exactly on the right track with how a Venom should be set up. Venom starring Tom Hardy is set to hit theaters October 5th, 2018 and as previously stated, the movie is currently in the casting stage. We're still a long way out from some official news regarding story lines and characters, but there are strong rumors hinting towards Carnage and She-Venom making appearances in the movie. Let's hope that Sony sticks to their original intentions for this project because it starting to sound pretty awesome.